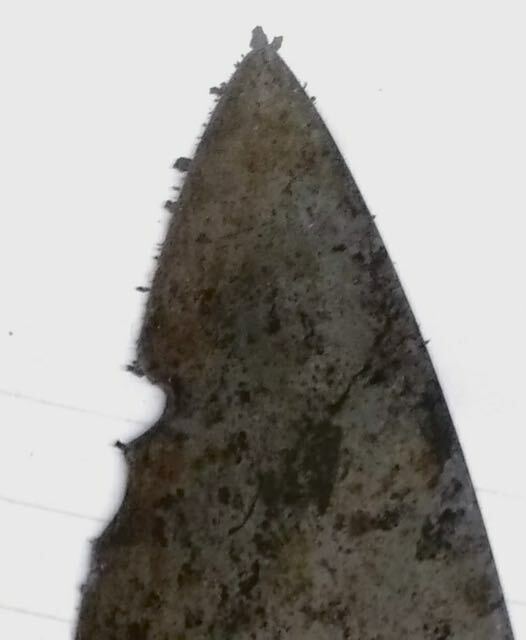 I offer full Sharpening Services in my shop, we will sharpen anything with an edge on it: All knives, scissors, straight razors, axes and hatchets, machetes, swords, shovels, clipper blades, shears, paper cutters, gardening tools, meat processing blades, food processor blades, blender blades. Feel free to ask if what you need sharpened is not listed here, we can sharpen most everything. Knife Sharpening comes with the fixing of nicks, chips, and points. 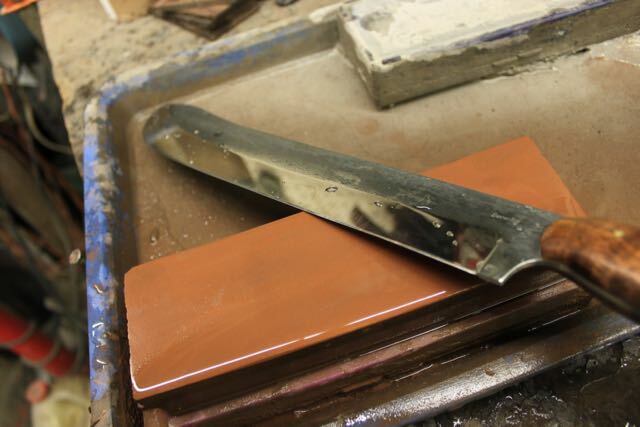 Swords: $40-$100 depends on length and thickness of edge. These prices are generalizations, and are as accurate as possible. We see a wide range of products, please call or come by for exact quotes. 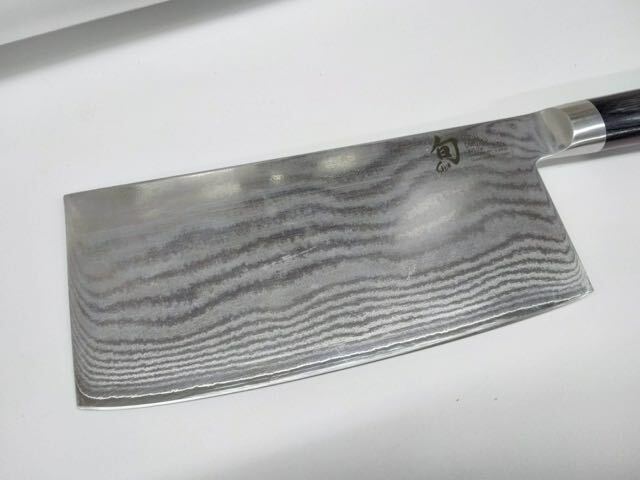 Knives are sharpened with a combination of belts and Japanese Water Stones. We will fix any nicks and the points of all knives. 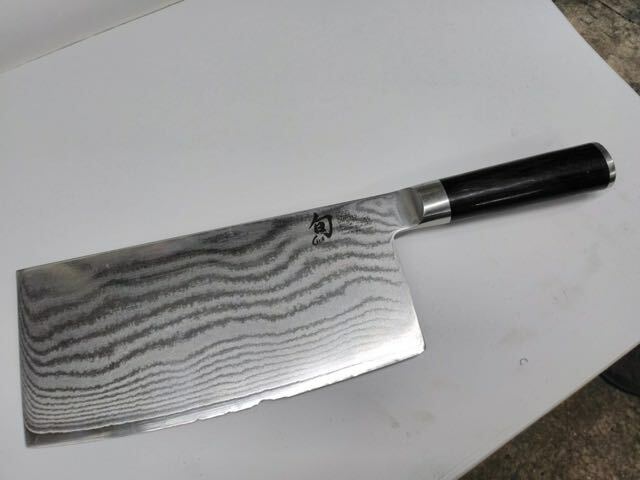 A knife we sharpened recently and fixed all the nicks.